Meditation is having a cultural moment: Headspace, an app created by a financier and a Buddhist monk, and currently valued at $250 million, allows you to unplug by plugging in (to your iphone) for just a few minutes every day and lures you to a healthier and happier life; meditation retreats are now routine for those struggling not to succumb to burn out–from Silicon Valley tech entrepreneurs, to Wall Street bankers to busy moms and dads. With stressful and alarming news pouring in every moment, and with working around the clock becoming the new normal, everyone these days seems to be feeling the need to step outside of their daily grind and just breathe. It is a blessing and a curse when things that have real value, that you may have been doing or eating or practicing or reading for years, become accepted by the mainstream. A sweeping trend can help make things more accessible and lead to wider variety but it also inevitably leads to naysayers, non-believers, and skeptics. A trend can also become less about the thing itself–whether that be meditation, veganism, or essential oils–and more about everything surrounding it, all the stuff that really has nothing to do with it: the fancy spas and retreats; the accessories; the word “mindfulness” slapped onto everything from acai bowls to exercise classes to bookstores to coffee. But meditation can have a real life-changing effect! I have been meditating on and off for the past 10 years or so. I first discovered meditation when I was 19 years old, coming out of a wild child stage in life and riddled with anxiety and feeling lost. I was just beginning to feel a pull towards all things holistic and came across a book at a boyfriend’s apartment that his hippy mom had given him: Wherever You Go, There You Are: Mindfulness Meditation in Everyday Life. I couldn’t put it down! I read the whole thing in just a few days and for the first time, understood that I had the power to calm my mind and increase my overall well-being by just sitting and listening to my breath. Ever since then, throughout my 20’s and now into my 30’s, I have been experimenting with various forms of meditation: float tanks, Qi Gong, Tai Ji, and various guided meditations. Currently, I meditate at home, preferably in the morning (before checking emails), for 10-25 minutes, and sometimes even shorter if that’s all the time I have. I sit and focus on my breath or a mantra that I make up for the day. It could be as simple as “Om,” “Love,” or my favorite from Deepak Chopra: “So hum” which means, “I am,” meaning I am one with all beings, the universe, love. Some days the timer goes off after 20 minutes and I realize that my monkey mind was racing the whole time planning my to-do list for the day and deciding what I want for breakfast; other times, I feel a sense of peace wash over me, a calming energy envelop my body, and I experience a deep gratitude that what felt like only a few minutes left me feeling clear, grounded and focused. Both of these experiences are completely normal. Whether you are just coming to meditation, have been practicing for years, or even got hooked because you drank a mindful latte, meditation has real benefits. To understand these, let’s first break down what meditation actually is. This might understandably be hard for you at first–so don’t let that scare you off! You may want to start with an exercise that will help you build up to Dogen’s “mind-body falling off” state: you can visualize a sacred image, concentrate the mind on a certain thought or sensation, count–or simply focus on your breaths, or chant a mantra. 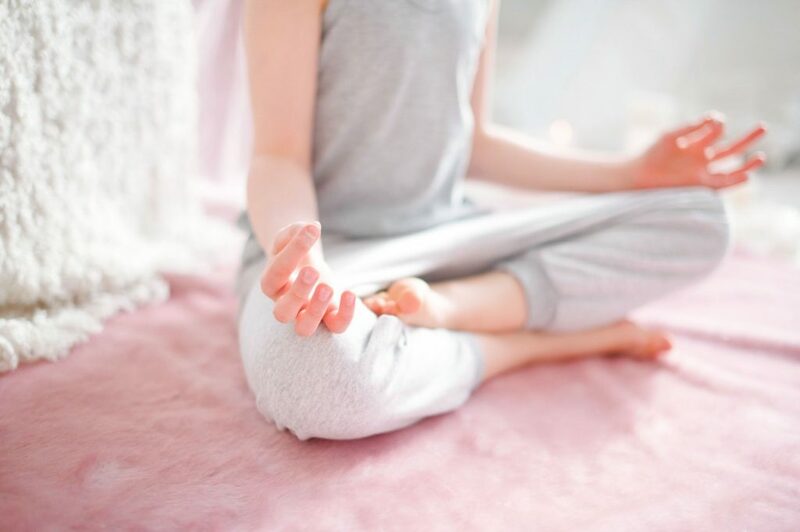 You can even start with guided meditation, which is what HeadSpace is, in which a teacher–in a class, or even coming through your headphones via a podcast–walks you through a meditation, directing you to focus on your breath and reminding you to clear your mind. I personally love Oprah and Deepak Chopra’s 21-day meditation experience, a guided meditation app that you can do anywhere and any time for 21 days–a great amount of time to get you into a steady habit. I use these when I fall off track and need some guidance to get into a daily practice on my own again. Issho Fujita, a Zen monk and head teacher at Valley Zendo, a Soto Zen center in Massachusetts, writes that “In Oriental medicine we find the interesting idea that harmony among the internal organs is of greatest importance. All the issues associated with Head”–the part of the body that you normally place the most importance on–“are something merely resulting from a lack of harmony among the internal organs.” This is the same philosophy used in acupuncture. As an acupuncturist, I look for the unique disharmony in the organ systems of an individual, which may be leading to conditions such as stress, anxiety, insomnia, fear, worry etc. During the acupuncture treatment, the needles tap into those energy systems and begin to guide the body to healing, bringing the organs back into harmony, calming the mind, improving sleep, balancing the emotions and so on. 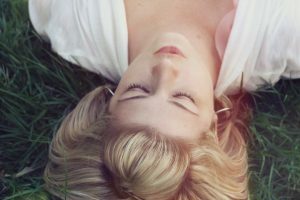 It’s very common to drift into a dreamy sleep-like state during an acupuncture treatment. When this happens your body is going into a healing rest, similar to a meditative state. According to a 2013 study, acupuncture changes your brain waves, activating your delta brainwaves (deep sleep) and calming the aplha (awake but not stimulated) and beta waves (awake and engaged), allowing your body to fall into that meditative restful dream-like place. But the stress reduction is not to be understated or dismissed: there are numerous scientific studies proving the connection between mindfulness/meditation practices and a reduction in anxiety, depression, insomnia, addiction (including, in particular, smoking cessation) and even ailments like ulcers and other gastrointestinal issues. 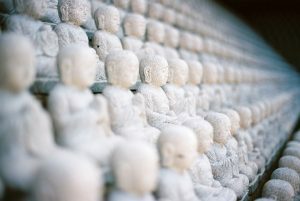 A Harvard University study from 2014 found that meditation actually “rebuilds the brain’s grey matter.” Participants in this study practiced some form of meditation for 30 minutes every day for 8 weeks, and MRIs after the study period showed that they had increased grey matter in their hippocampus, important for learning and memory, as well as in other structures within the brain responsible for compassion, self-awareness and introspection. Personally, I have found that meditation has made me significantly less stressed and anxious, and has increased my clarity of mind. When I have fallen off track and missed days or weeks–or honestly, even months–of meditation, I feel scattered, ungrounded, anxious and much more sensitive to life stressors. All this talk of zazen and 30 minutes a day may have you running in the opposite direction. And it’s true that you may not even be able to do guided meditation for 15 minutes in the beginning; your well-worn neural pathways that tell you to always be doing, creating, producing may not let you have this luxury at first. But it’s ok to start very, very small! Many meditation centers and teachers recommend sitting or even lying comfortably–no lotus here; you can use an eye mask to aid you in closing your mind off from the outside world; don’t try to control your breath–just breathe naturally. Start off doing this for just 2 minutes a day. And it can even be a pre-sleep routine to get you relaxed and shutting off from the pressures of the day. Once you’ve acclimated yourself, you can start increasing the amount of time you practice. It’s important not to judge the experience. As you can see, I’ve been doing this for 10 years, and still have times when I can’t turn off my brain. The most important thing is that you sat down and made that time for yourself! There will always be times that your mind wanders the whole time and that’s okay. Just keep at it and you’ll reap all the wonderful benefits! This entry was posted in Self Care, Soul and tagged deepak chopra, headspace, inner reflection, meditation, mindfullness, oprah, practice, sit.